Well, this is the thing... "Buddhism" is not always the Dharma taught by the Buddhas. Our misconceptions also integrated what is called Buddhism. But you know this, so I won't continue elaborating this triviality. It was my wife's birthday, so I only came to the board now. Dzogchen can't be limited or contained by any system. Buddhism, or perhaps some schools of Buddhism can lead one to Dzogchen. Other's don't. And I also believe it is as you say. Not particularly Buddhism, but our attachment to a Buddhist identity of sorts can become a hindrance. As our attachment to a Christian identity, Muslim identity and what have you. Malcolm, perhaps I wrote that when I was a bit pissed with you. I do actually put a lot of value in your opinions, whatever you want to call yourself, because I admire your bright intellect. I also consider that my path is Dzogchen but do apply whatever I want to and have transmission for among the methods of the nine yanas. You might feel the same, or not, sorry if I sounded harsh. Certainly your opinions are not irrelevant. My path is Dzogchen. When I do yoga practice, it is Dzogchen. When I garden it is Dzogchen. When I relax, it is Dzogchen. Unless of course I am distracted, then it is mind, even if I am sounding A or doing Rushan, or reciting a mantra, or whatever. But my path is Dzogchen. Great, I feel just the same actually. Simon E. wrote: If someone other than Dechen Norbu can reply...no.I dont agree at all. That was a dirty trick Buddha played on us, teaching those other paths. This really is the dharma ending age, when practitioners loudly proclaim their allegiance to enlightenment, while dismissing the practices which lead to enlightenment. The 10 stages of the path come from Sutra. It doesn't mean they aren't traversed if you belong to the lineage of Dzogchen. Same with the 4 yogas of Mahamudra or 5 Paths of Mahayana. It doesn't matter what you call the experiences of the path to Buddhahood. If you belong to a tantric or Mahamudra lineage it doesn't mean you are going to get a different enlightenment than if you practice the Dzogchen lineage. Some paths are quicker than others but the path is the same. Oh yes, I want to practice Dzogchen because it is quicker to enlightenment. Sign me up for that! That must be easier and quicker. We cannot negate the fact that we were born low, medium, or high intellect based on previous Karma. If we are low intellect we cannot expect to understand and practice Dzogchen. So we end up arguing over words and ideas. How is this helping? Dzogchen wasn't meant to be understood intellectually yet there is a forum where we try! How is that helping us see the pointing out? It is a waste of time. The practice of Dzogchen involves training in the 2 qualities, the Ultimate Universal Ground and the Universal Ground of Traces. This is the same as the absolute and relative truth in tantra. The latter is where our karma is stored, the relative truth. 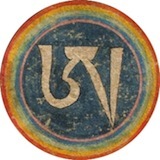 The 4 Aspects of the Attainment of Freedom in Dzogchen is the same as the Basis of Purification in tantric scripture. The path is the same no matter what lineage you follow, once you recognize the pointing out. The only question is whether or not you have to learn the meditation, and that depends on the karma of previous lives too. So how does it help us by trying to learn this information? And that is what it is information. Thank you Heart for your merits. In the bone yard wrote: If we are low intellect we cannot expect to understand and practice Dzogchen. there is no distinction between sharpness and dullness in capacities. There are many other citations to similar effect. If you have the good fortune to meet Dzogchen, you can practice it and acheive liberation, regardless of who you are. That is nice Malcom, but you didn't say it. In the bone yard wrote: That is nice Malcom, but you didn't say it. Sure I did. I said it to you. Namkhai Norbu as I know is a dzogchen master and has His opinion of course. I very like his pedagogical simple approach. However, If you want to know if it is really the difference between Dzogchen and the Two Stages please read aslo elsewhere a master who is both of Dzogchen and the Two Stages, like for example III Karmapa Rangjung Dorje . Yes, you are. Now act like one and stop giving me a hard time. You are right Malcom, I am sorry. Now do you understand that all of this isn't helping? In the bone yard wrote: You are right Malcom, I am sorry. That very much depends on who you ask. It may not be helpful for you, which means you should put it aside. In the bone yard wrote: The 4 Aspects of the Attainment of Freedom in Dzogchen is the same as the Basis of Purification in tantric scripture. The basis of purification in Vajrayāna depends. In Lamdre for example, in general it is the five aggregates, etc. that is given as the basis of purification. That is not the basis of purification in Dzogchen. Please just remember that there are members on this board who do take their practice seriously and that your actions effect others. Yes, I am quite aware of both things. What I do and say here is quite deliberate and not whimsical.I have to say your stalking of my posts on the board with your unwelcome and anonymous admonishments is becoming quite tiresome. Talk to someone who is interested. Last edited by Malcolm on Sun Jun 17, 2012 4:20 pm, edited 1 time in total. I hope his actions affect them positively. Do you mean Malcom makes them wonder about their practice? About its foundations? That's a good thing. If there are good foundations, they will become even more aware of them. If the foundations, OTOH, are shaky, then it's good that they deal with it before it's too late. I'm curious: In 2008 you posted you were practicing bum chen and advised everyone to do the same. Did that not pan out for you was you had hoped?